A Tiffany Amber design featured in "New African Fashion." Photo by Justin Polkey. As Africa continues to move out of what Yours Truly describes as its approximate 500-year-old Dark Ages, one signpost along the way will likely be New African Fashion (at this writing as low as $21.98 at Amazon), by "Arise Magazine" editor Helen Jennings. The book’s introduction, with a foreward by the redoubtable Ike Ude, serves as a competent overview of how the fashion world has been influenced by the Continent and how Western designers through ignorance or education have exploited or gotten it right as it regards African fashion. The introduction winds down on how things are being set to rights and the challenges that African fashion faces if it is to reclaim its rightful place in the fashion universe. 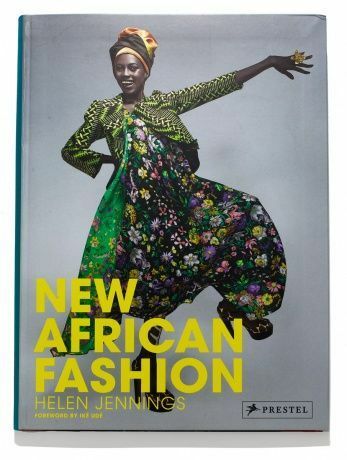 The picture book that is New African Fashion is set apart in its focus on the creations of a new crop of fledging, establishing and established African designers who are making their mark on the world stage. Seemingly tacked on, a few pages are dedicated to “Faces” or “It” models, and “Art,” focusing on “It” photographers. The bulk of New African Fashion is thankfully dedicated to the designers. 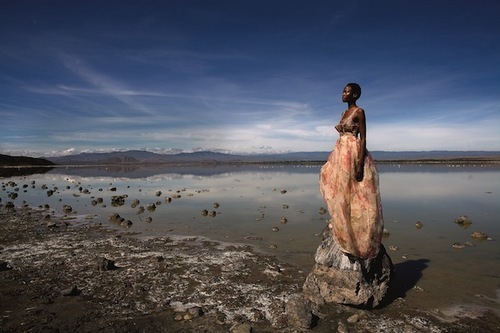 Suggesting how far Africa must come to be taken seriously as a fashion hub, virtually all of the designers were trained in part or wholly in the West. Some still reside in the West; a good deal reside in the Motherland. Just about all, like so many of their ilk, grew up observing stylish folk in their living rooms or in fashion glossies. A leitmotif is that the culture and textiles of the rich, vast lands of their birth or that of their parents is a strong reference point in their designs and aesthetic. Through Xuly Bet (pp. 26-29), Malian Lamine Badian Kouyate embodies the truth that “one man’s trash is another man’s treasure.” Many of his unique street-style creations are born of Western castoffs that find their way into any number of African countries. LBK gets bonus points, too, for sustainability in a world that needs it in reams. Lesser known names in New African Fashion include Tanzania’s Anisa Mpungwe, who designs the new label Loin Cloth & Ashes (pp. 90-93). AM, the daughter of a diplomat, had a vivid imagination along the lines of “Alice in Wonderland” and Salvador Dali, which is evident in some of the designs shown in the book. More recent influences such as the “Transformers” seem to inform a beige-zippered tunic w/puckered shoulders and long sleeves. Getting a lot of buzz now is the Tiffany Amber (pp.96-101) line designed by Nigerian Folake Folarin-Coker. The designer made a splash during Mercedes-Benz Fashion Week New York Spring 2010 during the Arise: Africa Promise Collection (http://www.vevlynspen.com/2009/09/day-2.html) show. In New African Fashion, it is noted that on Sundays the favorite after-church activity in Nigeria is a cruise on a yacht. To that end, Tiffany Amber “offers resortwear and soft, floatly dresses for ladies who lunch, work and sail." Exhibit A is the photo (p. 97) of a model wearing an empire-waist floral belted skirt and print bra. She is standing on a rock that seems melded to her getup. Is she waiting ashore for … a yacht? 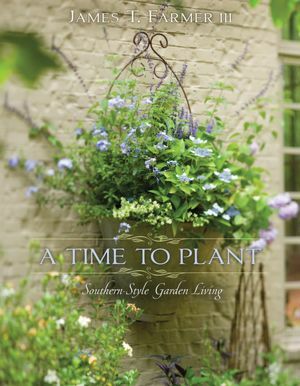 Cook, landscape designer and third-generation Georgia gardener James Farmer III (yes, Farmer is his surname) has delivered in “A Time to Plant: Southern-Style Garden Living” ideas and tips for cooking and decorating with what grows in the garden. Bringing his ideas to life are the scenic backdrops that are the homes of family and friends. The garden living that JF promotes in “A Time to Plant: Southern-Style Garden Living” (at this writing as low as $19.93 at Amazon) is environmentally-friendly because it is local and little goes to waste. For instance, the blooms and stems from cutting beds can be used to decorate the home (p. 106). A autumn centerpiece (p.143) includes Mexican sage, aster, pomegranates, blood oranges, colored leaves other than green – think fall foliage – as well as pheasant and quail feathers. Included are recipes for in-season fruits and vegetables. In fact, there are full menus for every season of the year. Blackberries and peaches, can combine in a Blackberry and Peach Crisp, p.104. The squash taking over the garden can be pressed into service as Squash Spoonbread, p. 108. At Thanksgiving, sweet potatoes can be used for Sweet Potato Souffle, (p. 138). During the heat of summer is Farmer’s Skillet Corn, p. 131. Make a Plan”: before starting a garden, create renderings of the garden; label and graph out cutting beds; map out a spot for vegetables. Cut and Arrange: Take hydrangeas, JF’s favorite flower. Cut them early in the morning or at night so the blossoms don’t wilt during the hottest part of the day, especially in high-humidity climes such as Georgia. Submerging the stems in deep water also prevents premature wilting. To Plant: Foxgloves like fall, while Mums, (aka Chrysanthemums) Asters and Daisies like spring. For Tea: JF declares that, “Tea is the house wine of the South.” Rather than Lipton, he recommends Chamomile, Lavender, Mint and Rosemary. Harvest and Eat: “A major aspect of the garden living lifestyle is the understanding of each season’s produce,” JF says. That is, knowing when fruits and vegetables are in season. Late spring and summer in Georgia bring blackberries, then the famous peaches and pecans in the last quarter of the year. Neither do you own Le Peregrina or the Elizabeth Taylor Diamond or the Taj Mahal or the Mike Todd Diamond Tiara, for that matter. You can, however, own the Deluxe Limited Edition Boxed Set ($600.00). Christie’s grossly – perhaps intentionally – low-balled the haul that would be generated by the jewels in “The Collection of Elizabeth Taylor.” It included not only the actor’s famous jewels, but also film memorabilia, decorative arts and fashion. Christie’s estimated that the jewelry would take in “well in excess of” $30 million. Sure, it did. But $60 million would qualify as "well in excess of." It was the greatest take ever for jewelry at auction, coming in at about $116 million. The entire Collection, including the nonjewelry items, netted more than $150 million. 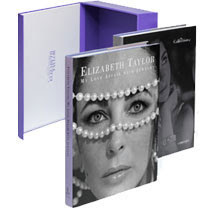 The box set includes ET’s out-of-print book “My Love Affair with Jewelry” and Christie's auction catalog for “The Legendary Jewels, Evening Sale.” Alas, the “The Complete Set,” which includes all of the auction catalogs and “The Gallery Guide” is sold out. At this writing the individual catalogs are still available.